I was already asleep when Jjunie tweeted. 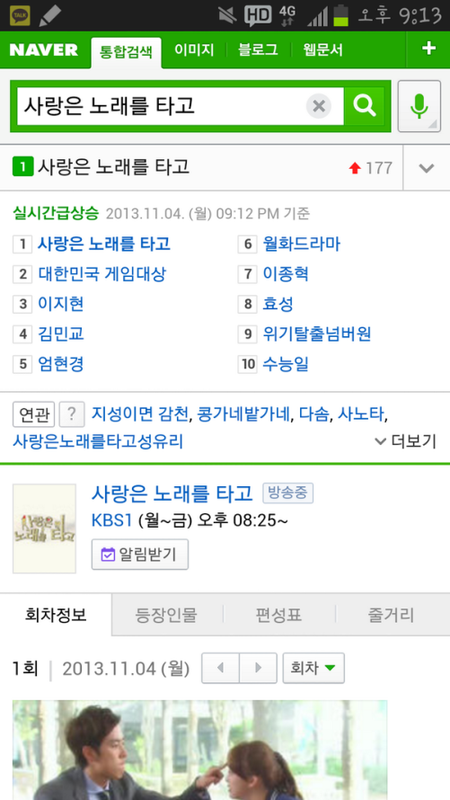 I am so happy for him that it top the real time Naver search. ^^ Way to go Hyung Jun!! And I also got an info that the first airing of the episode reached a rating of a whopping 23.5%! Wow!! 축하해 김형준! !